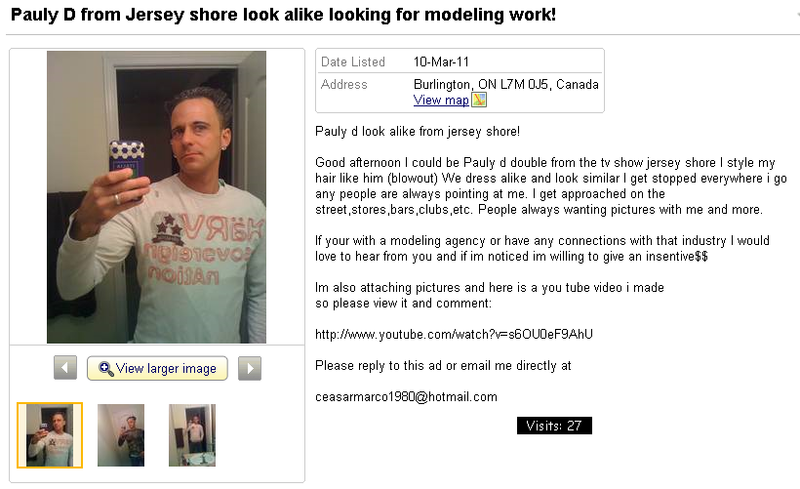 Pauly D from Jersey shore look alike looking for modeling work! Pauly d look alike from jersey shore! Good afternoon I could be Pauly d double from the tv show jersey shore I style my hair like him (blowout) We dress alike and look similar I get stopped everywhere i go any people are always pointing at me. I get approached on the street,stores,bars,clubs,etc. People always wanting pictures with me and more.